It's well chronicled of my passion for reading. It has made us better in so many ways from organization to leadership to team building to personal growth. Every now and then I come across a passage that creates a "wow" effect for me. I found such one in Tom Peter's new book "The Excellence Dividend." 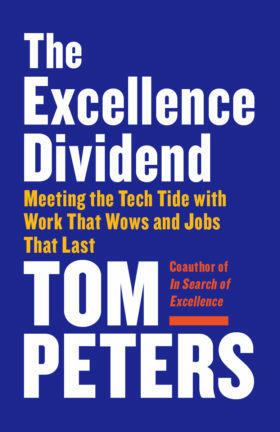 Two of Mr. Peter's book have really resonated with me -- "In Search of Excellence" and "The Pursuit of Wow!" so I have been looking forward to reading his newest book. It hit me like a thunderbolt in the strength of it's message in only three words. My years of coaching have brought me to a realization of the importance of the process. Studying some of the best from John Wooden to Nick Saban has taught me that the process is more important than the result because it is what leads to the result. As Coach Don Meyer would say, "It's not what we do, it's how we do it." As coaches, we sometimes get lost in complete big picture thinking without enough or even any thought to the details involved in success. Excellence is in the details -- our ability to execute those details. Sometimes we as coaches consider a defensive breakdown drill as part of our means of improving execution -- and it can be. But it was interesting to read that Bzdelik breaks down the breakdown drill. That's a commitment to execution. It's not enough to have a game plan or a goal. We must be detailed and intentional in the path we take to achieving it. "Though we remember him for the championships, what ultimately made Wooden great was practice." "Practice Perfect" also brings out the point that we can sometimes lose our focus on excellence by putting too much stock into hard work when it comes effectiveness. They quote Wooden as saying "Bustling bodies making noise can be deceptive." And then there is one of my favorite Wooden quotes I often share with our teams: "Don't mistake activity for achievement." It is critical that we are intentional in all that we do in striving for excellence. If we want proper execution, we must be intentional in the detail we put into our work. We shouldn't expect cutting and screening to be effective during a game in moments of distress if we aren't demanding proper execution at all times in practice. "I'd like to go out and have a good practice today. That would be at the top of the list." Belichick understands the importance of practice, habits and execution. "When researches compared whether process or analysis was more important to making good decisions, they discovered that process mattered more than analysis by a factor of six. But the reverse was not true - superb analysis is useless unless the decision process gives it a fair hearing." I often meet with my players do discuss their "why." I want to know about their dream and visions for the future. But I always tell them they have to dream in details. It does no good to dream of playing professional basketball if you don't have a deliberate plan to execute -- all the way how you spend the minutes of your day -- and that must be part of the dream as well. "Races are won by a fraction of a second, National Championship games by a single point. That fraction of a second or a single point is the result of relevant details performed along the way." The one thing that I have learned through decades of coaching is that there is no one set way to teach and coach and be successful. Time has shown us that there are as many ways to be successful as there are committed coaches to their philosophies. There is no set defensive style of play or offensive attack that is better than the other. You can push the ball in transition or walk it up and find positive results. The use of video and scouting reports are also as varied as the number of programs using them. There is one constant however for those who have sustained success -- they are all continual learners. They find time to grow their knowledge of the game as well as to improve in areas of communication and relationships. To remain the same is to fall behind. 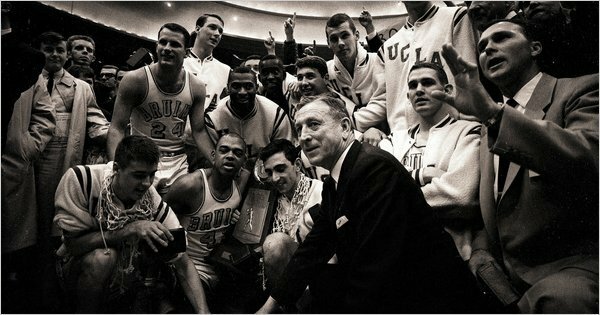 ◄How about Coach Wooden actually took a psychology class so that he might be able to communicate with his student-athletes at a higher level. 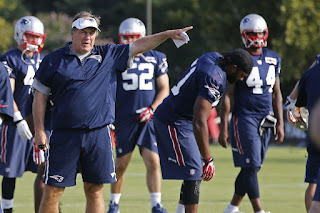 ◄He believe in watching the practices of other sports and developed some of his time management thoughts from Notre Dame football coach Frank Leahy. ◄As did Don Meyer, when Coach Wooden as speaking at clinics, he would arrive early and stay late and be an avid note taker of the other speakers. ◄Each off-season he would select a phase of the game and pour himself into over the summer. ◄He was also a ferocious reader that once read the dictionary from cover to cover to improve his vocabulary. Want to be successful over the long haul? What your plans this summer to grow YOUR game! I’ve spend the last few weeks catching up on my reading — specifically articles I’ve saved off the internet or received via Google Alerts. Later I’ll blog about my system of reading from these various sources. However, today I enjoyed reading an outstanding article on Virginia men’s head basketball coach Tony Bennett. 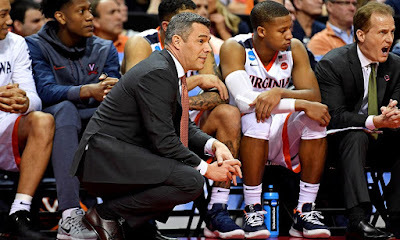 The article was written by Paul Woody of the Richmond Times-Dispatch and discusses the question for coaches of whether they want to be transactional or transformational. It very well written by Woody and I strongly suggest you click her to read it in its entirety. A college basketball coach has to make a decision. Does he want to be transactional or transformative? 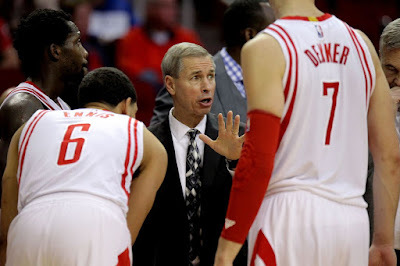 A transactional coach tells players what to do and expects them to do it, no questions asked. If they don’t perform as the coach directs, players often are yelled at, belittled and demeaned. In a perfect world, the transactional method shouldn’t be successful. If you think it’s not, you haven’t been paying attention to the sidelines of college basketball games. basketball, a very physical game in a highly competitive league, the ACC. At Virginia, there is no room for negotiation concerning effort, defense, toughness and teamwork. You are fully engaged in all four or you are fully on the bench. “Well, today it can be a little different. I played for my father. I knew beyond a shadow of a doubt he believed in me. He thinks I can be really good, and I can trust him. It’s built in. He’s my dad. I realized that was almost the secret sauce. Again, I strongly suggest you read the entire article. 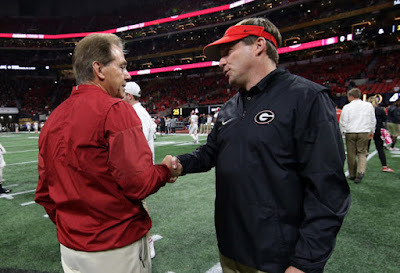 There was an excellent write up by Bruce Feldman at SI.com recently where he looked at the football teams at Alabama and Georgia and how those two programs defined discipline. Feldman writes about the importance of discipline and how it specifically has a direct bearing on an organization's culture. You can read the entire article here. Awkward as they may be at times, these conversations become the norm. “It’s had every day,” Georgia quarterbacks coach James Coley says. “I always felt like when you walked in staff meetings, you were there to get your players better. Everybody’s trying to get better, but now you’re saying to yourself, ‘How can I get better in this staff meeting?’ Because you really get better as a coach. Coach Smart has done a great job helping us all get better as coaches."